Is BCE Inc. (BCE) A Good Stock To Buy? How do you pick the next stock to invest in? One way would be to spend hours of research browsing through thousands of publicly traded companies. However, an easier way is to look at the stocks that smart money investors are collectively bullish on. Hedge funds and other institutional investors usually invest large amounts of capital and have to conduct due diligence while choosing their next pick. They don’t always get it right, but, on average, their stock picks historically generated strong returns after adjusting for known risk factors. With this in mind, let’s take a look at the recent hedge fund activity surrounding BCE Inc. (NYSE:BCE). BCE Inc. (NYSE:BCE) has experienced a decrease in hedge fund sentiment lately. BCE was in 16 hedge funds’ portfolios at the end of December. 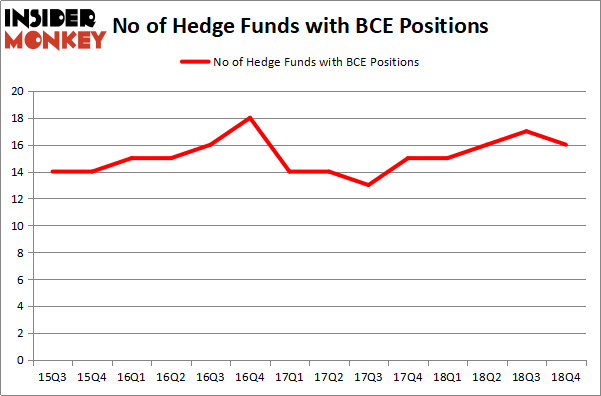 There were 17 hedge funds in our database with BCE holdings at the end of the previous quarter. Our calculations also showed that BCE isn’t among the 30 most popular stocks among hedge funds. At the moment there are plenty of indicators market participants put to use to evaluate publicly traded companies. A couple of the most underrated indicators are hedge fund and insider trading signals. We have shown that, historically, those who follow the best picks of the best fund managers can outperform the broader indices by a solid amount (see the details here). We’re going to take a peek at the recent hedge fund action encompassing BCE Inc. (NYSE:BCE). How have hedgies been trading BCE Inc. (NYSE:BCE)? At the end of the fourth quarter, a total of 16 of the hedge funds tracked by Insider Monkey held long positions in this stock, a change of -6% from one quarter earlier. Below, you can check out the change in hedge fund sentiment towards BCE over the last 14 quarters. With the smart money’s positions undergoing their usual ebb and flow, there exists a select group of noteworthy hedge fund managers who were upping their stakes considerably (or already accumulated large positions). The largest stake in BCE Inc. (NYSE:BCE) was held by Renaissance Technologies, which reported holding $125.4 million worth of stock at the end of September. It was followed by AQR Capital Management with a $83 million position. Other investors bullish on the company included GLG Partners, D E Shaw, and Two Sigma Advisors. Due to the fact that BCE Inc. (NYSE:BCE) has faced bearish sentiment from the aggregate hedge fund industry, it’s easy to see that there was a specific group of money managers who sold off their entire stakes in the third quarter. 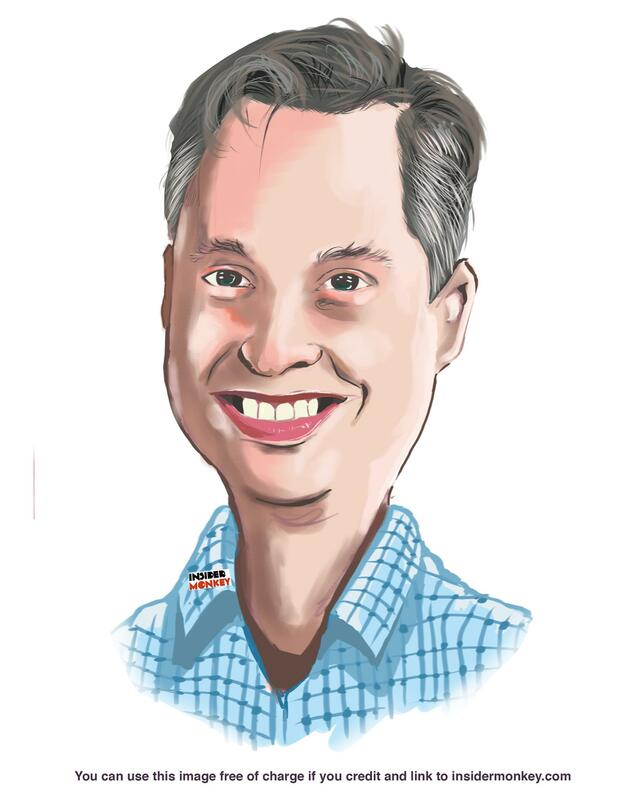 At the top of the heap, Alec Litowitz and Ross Laser’s Magnetar Capital dumped the biggest stake of all the hedgies monitored by Insider Monkey, comprising close to $1.3 million in stock. Paul Marshall and Ian Wace’s fund, Marshall Wace LLP, also dropped its stock, about $0.8 million worth. These moves are intriguing to say the least, as total hedge fund interest fell by 1 funds in the third quarter. Let’s now review hedge fund activity in other stocks – not necessarily in the same industry as BCE Inc. (NYSE:BCE) but similarly valued. These stocks are Public Storage (NYSE:PSA), Banco Bilbao Vizcaya Argentaria SA (NYSE:BBVA), The Progressive Corporation (NYSE:PGR), and Air Products & Chemicals, Inc. (NYSE:APD). This group of stocks’ market valuations match BCE’s market valuation. As you can see these stocks had an average of 26.5 hedge funds with bullish positions and the average amount invested in these stocks was $1045 million. That figure was $320 million in BCE’s case. The Progressive Corporation (NYSE:PGR) is the most popular stock in this table. On the other hand Banco Bilbao Vizcaya Argentaria SA (NYSE:BBVA) is the least popular one with only 4 bullish hedge fund positions. BCE Inc. (NYSE:BCE) is not the least popular stock in this group but hedge fund interest is still below average. This is a slightly negative signal and we’d rather spend our time researching stocks that hedge funds are piling on. Our calculations showed that top 15 most popular stocks among hedge funds returned 19.7% through March 15th and outperformed the S&P 500 ETF (SPY) by 6.6 percentage points. Hedge funds were also right about betting on BCE, though not to the same extent, as the stock returned 13.7% and outperformed the market as well. Is Illinois Tool Works Inc. (ITW) A Good Stock To Buy? Were Hedge Funds Right About Selling Northrop Grumman Corporation (NOC)? Is Vertex Pharmaceuticals Incorporated (VRTX) A Good Stock To Buy? Were Hedge Funds Right About Dumping FedEx Corporation (FDX)? Were Hedge Funds Right About Ecolab Inc. (ECL)? Were Hedge Funds Right About Getting Into Bank of Montreal (BMO)?